A classic in the field, this text takes an integrated approach to science without watering it down, and emphasizes understanding and addressing children's affective nature. It remains a forward-thinking, innovative resource for teaching science to young learners, and a best-selling resource for the field. Clearly organized, the text provides a research-based rationale for early science education in Part I chapters. 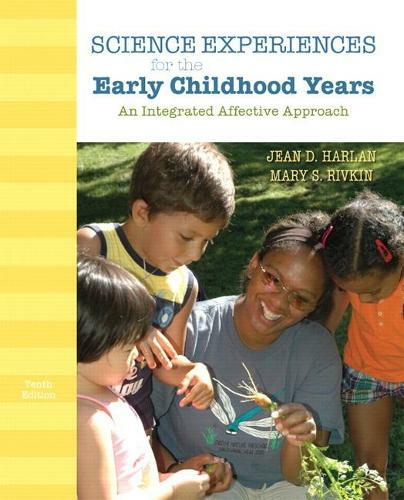 Emphasizing that meaningful science for young children builds on the emotional underpinnings of their curiosity and concerns about the everyday world, and their pleasure in exploring it, this resource encourages new teachers to help children live appreciatively and thoughtfully on Earth. The topical chapters in Part II offer solid, accessible, concept-based activities and are concurrent with the vision of the new Framework for K-12 Science Education, being developed by the Board on Science Education of the National Academy of Science. For each unit presented, students are provided with all the comprehensive integrating and connecting elements to strengthen children's learning of science. Early educators' own content and pedagogical knowledge will be expanded as they practice using the units in class and in field placements.